So, Xbox One's (or as I like to call it - Crossbone's) Killer Instinct is still getting the full support it deserves and with a creepy new character now in the fray, what more could fans ask for? Introducing Hisako - As the newest female addition to the series, Hisako's just recently been announced at PAX and will be clawing her way to home consoles towards the end of this month, undoubtedly giving other players nightmares, and not just from her "Grudge-like" appearance. 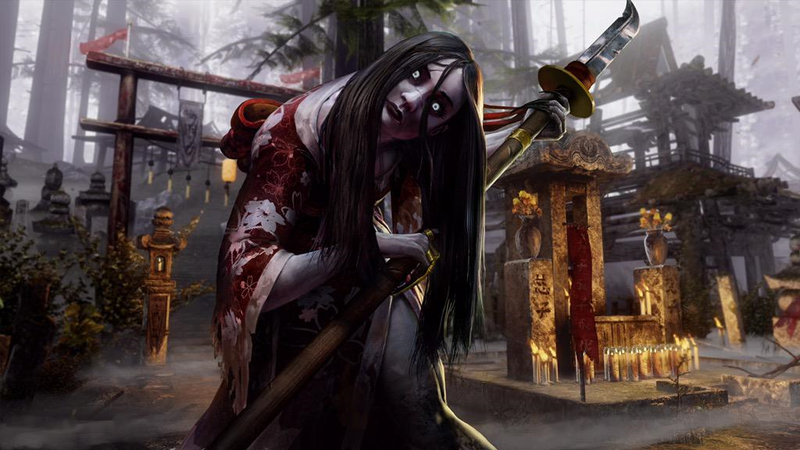 Already equipped with a Naginata, Hisako comes fresh with a new "Wrath Bar" that gives her certain advantages in combat, primarily allowing her to attack with counters, regardless of whether the opponent is attacking or not. Worried about the bar depleting too quickly? Fear not, for it recharges after about 2 seconds of idle standing. Her walking speed is very slow, but when you see how fast she can dodge and close in on her enemies, her moves are likely to be a little hard to adjust to when facing her in combat, giving Hisako's intimidating fighting style a slight air of unpredictability. Additionally, her "Possession" technique looks pretty fun to abuse. I'm personally looking forward to this and feel she's a worthy addition to the series. It would have been great to have played this girl back in the days of the original Killer Instinct (on the Super Nintendo).